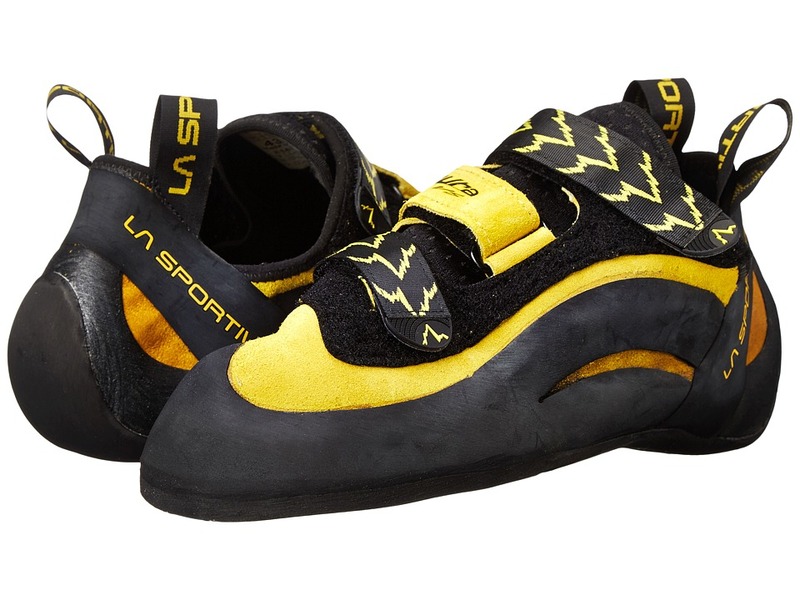 Please click for the La Sportiva Size Conversion. Best In Gear award winner Rock and Ice. A high performance hook-and-loop shoe for amazing edging control and pocket climbing performance. Flexible leather upper. Easy-to-use, three strap hook-and-loop system for easy on and off convenience. The Slingshot rand and power hinge system gives you the ultimate edging power. Slip lasted construction. Sentex fabric lining around the top of the shoe, and unlined directly under the foot. 1.1mm Laspoflex midsole for support. 4 mm Vibram XS rubber is the best rubber formula for technical edging and provides exceptional grip needed when climbing. Weight of footwear is based on single item, not the pair.